We are always looking for new talent at the Bohemians, so whether you sing, dance or act, or want to help out behind the scenes, we want to hear from you! The Bohemians are one of the longest established amateur theatre companies in Edinburgh and we have a reputation for putting on very high quality productions. The talent on stage comes from all walks of life – Doctors, teachers, lawyers, students, civil servants – we really are anyone and everyone. If you have been on stage for years or fancy treading the boards for the first time, all you need is an outgoing personality, a desire to entertain and a few hours a week to come along to rehearsals. 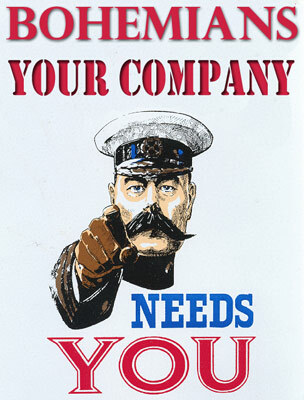 So don’t be shy, get in touch and who knows, you could be a part of our next amazing production! For more information, please email Heather (blocsecretary@gmail.com).